Welcome to the first edition of Executive NEUs which will follow each NEU Executive meeting and provide a summary of your decisions and discussions. All 76 members of the NEU Executive are now in place – we were pleased to welcome Deirdre Murphy to her first Executive following her election to the vacancy in District 6. Firstly, concern was expressed about the fact that both the May and October District and Branch Secretaries’ Briefings had been scheduled for Friday-Saturdays. Having discussed the matter with Officers Steering Group we asked the Central Events Team to explore moving the remaining 2019 meetings to take place on Thursday-Friday. That was now not possible for the May meeting due to contract commitments already made with the venue. It is possible for the October event, so this meeting will be rescheduled to Thursday 10 and Friday 11 October and will take place in Manchester. The second issue raised suggested that a pooled fare system could be a more equitable mechanism for local districts to share the travel and accommodation costs associated with attending the meetings. Again, following some discussion with the Officers Steering Group, we have agreed to pilot a pooled fare system at the May DBS meeting. The Central Events Team will share relevant guidance in due course. · We are re-working the casework referral flow chart to make it clear to all what cases/enquiries can be dealt with, where (either lay or professional staff, or between the two) and making it clear that it is right that enquiries and casework can and should be dealt with at a local level where this is appropriate without referral to the advice line. Ultimately, the Union’s strategic focus on developing and supporting the rep base to answer member queries will be key to resolving problems in schools before they escalate into serious casework. And to campaign for a fully funded education system which treats education professionals better, supporting a professional, enabling culture and reducing workload – making teaching a better job and schools a better place to be. A number of steps to improve the operation of Executive meetings were agreed. Meetings to begin at 9am in June subject to discussions with Wales Committee. · reluctantly accept implementation of the 2018 pay offer, in order to provide a foundation for that campaign. 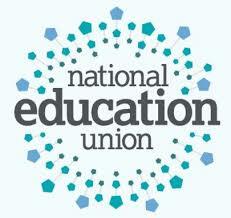 National Collective Bargaining: Agreed to recommend that the NEU should support the inclusion of the education sector as a priority area for sectoral bargaining machinery in discussions with the TUC and the Labour Party. FE Colleges: Agreed to support the proposed Staff Side claim for a £1 per hour pay rise for all FE College employees. The NEU Legal Assistance Procedures were discussed; to be further discussion on one element in Member Defence Committee; to brought back to the full Executive as necessary. It was agreed that the national subscription rates are increased by 2% to match anticipated revenue with the Union’s priorities, activities and expenditure levels. It was also agreed there would be no special offer for 2019/20 for new joiners. The new joiner rate will be the published national rates for Leadership, Teacher/Lecturer and Support with no local fee payable. (The £1 offer for NQTs followed by two more years of discounted membership continues to operate). The text of an Urgent Motion to Conference on LGBT+ Inclusive Education was agreed. · Executive members to the TUC Equality Conferences (Disabled and LGBT+ workers) list of names elected. · EI World Congress (July 2019) – list of names elected. Privatisation – to provide the tools and support for local Activists to challenge every conversion possible; to continue campaign to repeal the forced academisation legislation. The Executive agreed to introduce a new member award from 2020 to acknowledge the work of lay members in challenging sexism and building women’s activity in the Union to be named the Annie Higdon Award in honour of one of the leaders of the Burston School Strike. Climate change, Ineos and the Daily Mile – expressing concern about the sponsorship of the Daily Mile Charity by Ineos; asking local officers to ascertain how many of their schools have signed up to the Charity; and seeking allies for a campaign to break the link between Ineos and schools. Palestine – to provide backing for the PSC demonstration on 11 May. And finally, we’ll shortly be introducing an Executive website section– details to follow.